The beautiful aspect of aging in place is that is doesn’t require any special or overt action to accomplish. As aging in place specialists, we encourage people to take thoughtful steps to help them stay in their homes more safely and comfortably, but whether they do or not, aging in place can be accomplished by simply continuing to live in the same home. We can help people do varying amounts of improvements to renovate their homes and make them more accessible, safer, comfortable, and convenient. It is driven by the needs of the client, determined by the size of their budget, and governed by their personal preferences of what they would like done and what they want it to look like when it is completed. We don’t make any money if we aren’t engaged to help people make improvements to their homes, but there is no rule or regulation that says that people must renovate their homes as they get older – even if the electrical service or wiring is outdated or under-capacity, the furnace is inefficient and quite dated, the plumbing fixtures and appliances are showing their age, the flooring is worn, and the lighting is insufficient for their current needs. They can continue to live in their current home indefinitely and age in place unless something happens that causes them to make an emergency repair or to desire to have a renovation for part of their home. As with many things in life, the more we know about a subject the more we are able to put into practice some of the principles it advances. Aging in place is no different – the more we know about aging in place solutions the better equipped we are to serve the people who need or desire our help. Likewise, the population, in general, is more knowledgeable of some of the solutions that can be implemented for them. Still, a person does not have to participate in improvements or renovations to age in place. In fact, they may not even be aware that there are people such as us who specially trained to help them or exactly what types of improvements would be advantageous for them to consider. Many people are going to find that as they age their homes no longer provide for them as well as they did a few years earlier. There might be steps to climb to get into the home which were not much of an issue a decade or more ago but now create a mobility issue due to arthritis or balance issues they are experiencing. There could be steps to the second floor or basement which create similar concerns. They are attractive architectural elements to the home, but they may not be as accessible as they were when the home was purchased years earlier. 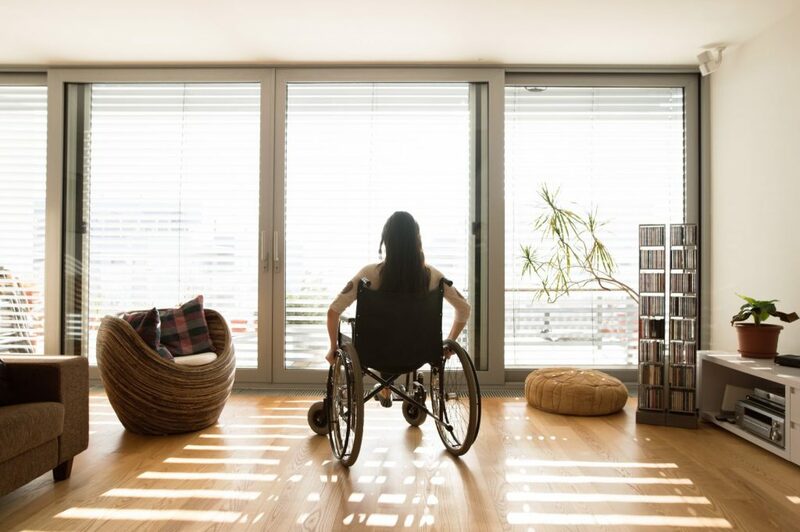 Older homes, such as mid-century and earlier, typically have narrow hallways and doorways which can restrict or hinder access when people begin using assistive devices such as canes, crutches, walkers, and wheelchairs. Those homes may have just a single hallway bathroom that serves the entire home – and a relatively small one at that. Adding a bathroom for the master bedroom to create a suite or making the hall bathroom more accessible and usable by the owners and their guests (or potential caregivers) would be a major safety and convenience improvement for the owners – whether they have any special needs or not. There are many people that we can help – depending on the scope of our business and our business model – from simple safety improvements to major renovations. Even if a job is smaller or larger than what we typically undertake, we can involve other professionals to help us or refer it out to them directly. Let’s remember that renovations for aging in place can be relatively simple or they can be quite elaborate. It’s going to be dependant on the client, their needs, what they can invest in the project, when they want it done, and how complex the work turns out to be. Whether a person admits to having changing physical or sensory needs that limit their ability to use their home the way they been in the past, they have been living in their home with progressive or traumatic conditions and have dealt with those satisfactorily, or they are relatively healthy and active, people can age in place without doing anything to their homes to accommodate their needs. Even if their home is much more difficult for them to use than it has been, they can learn to adapt to it well enough to continue living in it. Aging in place requires nothing more than just continuing to reside in the same home – whether that home is up to the challenge of allowing good accessibility and a safe living environment for its occupants. It is a simple proposition that many people utilize.